Attended not just a class but a Masterclass no less about Paso Robles wine. 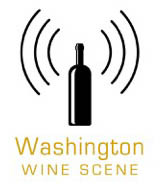 It’s a region I visited a couple years ago and had a great time soaking in its low-key charms and surprising wines. This learning session was helmed by Master Sommelier Alexander LaPratt with able assists from Jason Hass (master of Google maps demos zooming from outer space to the Templeton Gap) of Tablas Creek Vineyard, Brian Terrizzi of Giornata, and Amanda Wittstrom-Higgins from Ancient Peaks Winery. I’m most familiar with Tablas Creek as it is one of the wineries I’ve visited (GO!) and my mom happens to be an enthusiastic member of their wine club (JOIN!). But Giornata and Ancient Peaks Winery were new to me. I tried a duo of Giornata’s wines first. It’s a really interesting winery that focuses on Italian grape varieties. Which perhaps seems a little nuts, or bold at a minimum, but when you taste the wines you’ll see why. Ok, if the Fiano reminded me of something from Campania, that’s kind of a big deal. But surely a Paso Robles Nebbiolo will not transport me to Piedmont. HA! As if. Well…. About this wine, LaPratt remarked something along the lines of if you poured it blind and then told a wine wonk it was a Paso Robles wine, they’d want to see the bottle. I’ll take that further and say, they’d want to see an UNOPENED bottle to make sure there were no shenanigans. Very Piedmont-y stuff! The wine was a bit translucent and when you have a bit of a see-through red, the natural instinct is thinking it’s going to be a light-0n-its-feet type of wine. Ok, you know I like lesser-known grapes and people growing atypical stuff in their neck of the woods. But, damnit, I’m going to talk about Merlot and Cabernet Sauvignon. I was really impressed with two wines from Ancient Peaks Winery, which would be smokin’ picks for a by-the-glass selection. Regarding the Merlot, if anyone still thinks this grape is somehow demure or usually “softer” than Cab the Ancient Peaks Winery bottling makes mincemeat of those sentiments. The wine had these cool camphor-y notes I liked. Serve it to any Cabernet fanatic and they’d be a convert. The APW Cab screams “Cali Cab” yet also tastes like Cabernet, with some savory notes making it very interesting. Your Cab nuts would go wild for the muscle of this wine. So why do I say Giornata and Ancient Peaks Winery are two sides of the same coin? Based on the duo of wines I’ve discussed from each, they seem world’s apart. Of course the wineries share a home in Paso (duh). But furthermore, Ancient Peaks is growing Nebbiolo and Sangiovese for Giornata. Cool, huh? BTW, Ancient Peaks is located in the Santa Margarita Ranch sub-AVA of Paso Robles and APW’s Margarita Vinyeard is the only one in the AVA. Even if wineries are making different wines from different grapes in different styles, that doesn’t mean they don’t get along or belong together. THE END. 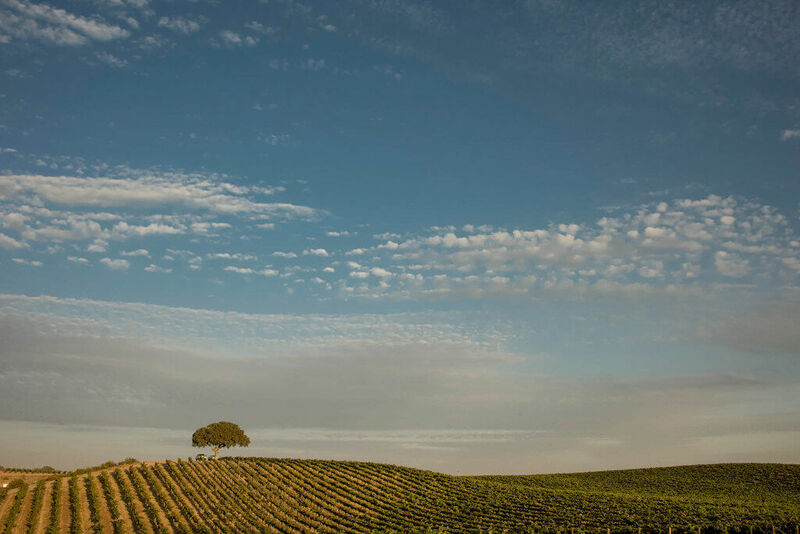 The post Paso Robles Wine From Two Sides of the Same Coin appeared first on Jameson Fink. Few wineries have played as large a part in American wine history as Chateau Montelena. When I was invited to attend a tasting including five decades of the Napa Valley winery’s Cabernet Sauvignon, I couldn’t say “yes” fast enough. So earlier this summer I buckled up for a wine event of a lifetime. Our Master of Ceremonies was none other than Bo Barrett, Montelena’s CEO and Master Winemaker. His family bought Chateau Montelena in 1972, with Beau’s father Jim Barrett making the transition from practicing law to owning a winery. Of course it was a great treat to have Bo introduce every wine. I enjoyed his candor, humor, and liberal peppering of sports analogies throughout his commentary. Discussing Montelena’s consistent elegant, restrained style, particularly in light of the massive oak/fruit/alcohol bombs of the last 20 years, he made a baseball comparison. To paraphrase, as a hitter you can’t always pound it into center field. Sometimes you have to dink it over first base. Let’s get to the wines, now that you are sufficiently in the mood. Oh, one more thing. All the wines were poured from MAGNUMS. Wow! The 1974 is actually a Sonoma wine, made with fruit from what is now the Russian River Valley and Alexander Valley. It was still alive, with nice fruit and a touch of balsamic at the end. “Pretty high acid held it together,” Bo explained. This was a hell of a start! A very good wine, an extremely auspicious beginning. The 1975 was much more aromatic than the 74, yet more subtle on the palate, lower acid. Lingering. A fantastic Cabernet nose and noticeable tannins were the highlights of the 1980. ‘Twas a warm year following a cool one. Fruit starts to show more prominently from the 1983 on, rather than the wines being dominated by savory notes. 1988 was a drought-plagued vintage with tiny yields. The resulting wine is dark and brooding. Still quite young, the 1990 has that brooding character of the 88 with toast and coffee notes. In his notes on the vintage, Bo calls the 1994 the most balanced of the outstanding 1990s vintages. A summer that would destroy my heat-adverse soul, 1996 had at least ten days where temperatures were over 100 degrees from June to August. Bo Barrett’s workplace environment is enviable, to say the least. “Tastes like it was bottled a year ago, ” Bo says of the 2001. Very dark, primary fruit on the 2005. This was one of my favorites. Really like fine red wines in this decade-ish window. Conditions were just right for the 2007 vintage. As Bo refers to it, a “Goldilocks” year. The 2009 is very tannic for being nine years old. I loved the 2011 for its elegance. Tasting the 2013, I couldn’t help thinking about my mom. Is that strange? She prefers wines that are rich and smooth, not over the top. Like this bottle. 97% Cabernet with 1.5% each of Cabernet Franc and Petit Verdot. Sometimes the frequency of describing an event as “honor” and/or “privilege” to attend/be a part of gets mawkish, strains credulity. When everything is a dang honor/privilege, then nothing is, OK? Having said that, it was a TRUE honor and privilege to attend this tasting. This was a very good summer of classic Napa Cabernet for me, enjoyed in air-conditioned comfort. Photos courtesy of the winery. The gram is mine, duh. 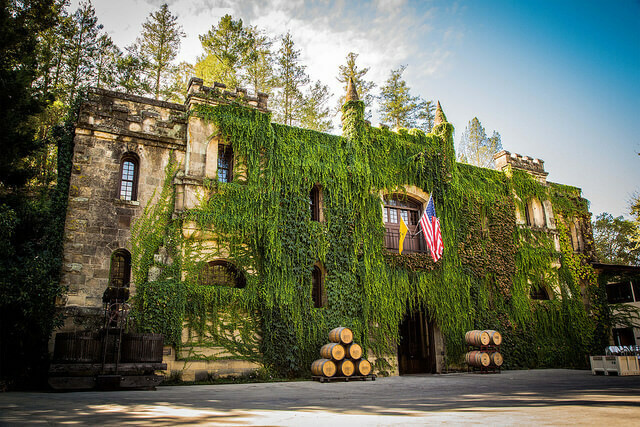 The post Chateau Montelena Dream Tasting appeared first on Jameson Fink. I’ll admit that I spend my wine days and nights in New York chasing the obscure. Bring me all your wonderfully weird wines! Sometimes, though, this is at the expense of the classics. Case in point would be the Freemark Abbey Cabernet Bosché. I had the pleasure of tasting this wine with Ted Edwards, director of winemaking. He’s been responsible for the wines at Freemark Abbey for over three decades. Now that’s a hell of a tenure. After a very nice 2016 Chardonnay (extremely satisfying for $30) we dove into two library wines. The 2003 was in an outstanding place. I have to confess to not liking super-old wines. OK, if you want to open a top Bordeaux from 1945, 1961, 1982, etc. for me I would be absolutely delighted. But in general I do not like wines that have lost all their fruit, particularly white wines. So at 15 years, this wine was perfect. Plenty of primary fruit flavors with a blend of those secondary, more savory characteristics that only come with bottle age. The decade-old 2008 was remarkably youthful. I tried the “regular” Napa Cab, which at $50 is a very good deal for a wine from the region. It also, if I may say something that sounds facile, tastes like Napa Valley Cabernet Sauvignon should. Not a syrupy booze bomb with an oak popsicle stick. Finally, I had a sneak preview of the 2015 Freemark Abbey Cabernet Bosché. I believe time will tell it belongs in good company with the 03 and 08. Oh, and one thing about the name of the wine, specifically the “Cabernet Bosché.” It’s not the name of the grape but rather Cabernet from the Bosché vineyard. Pricing on the Cabernet Bosché trio: 2003 $200, 20008 $185, 2o15 $150. Regarding the library wines, Freemark Abbey has a super-deep collection of back vintages available to taste and sell. That’s some real foresight, particularly considering the winery has vintages going back to the late 1960s (!). So how do you like your Cabernet? The post Freemark Abbey Cabernet Bosché is a Napa Valley Classic appeared first on Jameson Fink. The number one “song of the summer” gets the CorkEnvy treatment in our latest parody video. The original is number one on the charts, this parody will be number one in your hearts!